Late one night, outside Stockholm, Mikael Kohler-Frost is found wandering. Thirteen years earlier, he went missing along with his younger sister. They were long thought to have been victims of Sweden's most notorious serial killer, Jurek Walter, now serving a life sentence in a maximum security psychiatric hospital. Now Mikael tells the police that his sister is still alive and being held by someone he knows only as the Sandman. Years ago, Detective Inspector Joona Linna made an excruciating personal sacrifice to ensure Jurek's capture. He is keenly aware of what this killer is capable of, and now he is certain that Jurek has an accomplice. He knows that any chance of rescuing Mikael's sister depends on getting Jurek to talk, and that the only agent capable of this is Inspector Saga Bauer, a twenty-seven-year-old prodigy. She will have to go under deep cover in the psychiatric ward where Jurek is imprisoned, and she will have to find a way to get to the psychopath before it's too late--and before he gets inside her head. 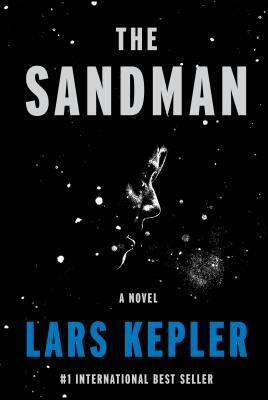 LARS KEPLER is the pseudonym of the critically acclaimed husband and wife team Alexandra Coelho Ahndoril and Alexander Ahndoril. Their internationally best-selling Joona Linna series has sold more than thirteen million copies in forty languages. The Ahndorils were both established writers before they adopted the pen name Lars Kepler, and have each published several acclaimed novels. They live in Stockholm, Sweden. Translated by Neil Smith.